An American babysitter has become an unlikely internet star after cricket fans confused her Twitter handle with a feed for following The Ashes test series. 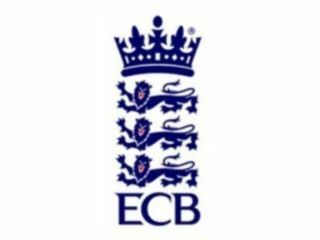 @theashes, the Twitter feed of 22-year-old Ashley Kerekes, from Massachusetts, now has 7,000 followers after a surge of interest from England and Australia cricket fans. Rather than deter the Twitterverse, her first outburst of "I'm not a freaking cricket match," already has the makings of internet legend, and the number of followers is growing exponentially. A swiftly organised hashtag campaign, #gettheashestotheashes, has even caught the intention of Aussie airline Qantas. which has offered to fly her from New York for one of the remaining four tests in the series. She's currently mulling over the over, while hawking hastily-designed "I'm not a freaking cricket match" t-shirts on the internet. Ashley says the origins of her online handle were simply a nickname given to her many years ago by her boyfriend and that the attention from cricket fans was never really part of the plan. She says: "I was out Christmas shopping with my aunt and I got a Twitter message from a friend of mine telling me that some guy was trying to get information about me. "I'd turned off notifications on my phone right after my first outburst so I had no idea. After that I went looking around and found that I had hundreds, maybe thousands, of messages about the Ashes." Gotta love the internet. One day you're idly tweeting about babysitting kids, the next you're offered a free trip to Australia to watch a sport you've barely even heard of.